Palestinian workers often bear the brunt of Israel’s efforts to undermine the Palestinian economy and its regime of settler colonialism and apartheid. Palestinian trade unions have always played a key role in the Palestinian struggle for freedom, justice and equality. In 2011, Palestinian trade unions came together to issue an appeal for international trade unions to join the BDS movement and form the Palestinian Trade Union Coalition for BDS (PTUC-BDS). Scores of trade unions and trade union federations across the world have endorsed BDS as a key form of solidarity with Palestinian workers. 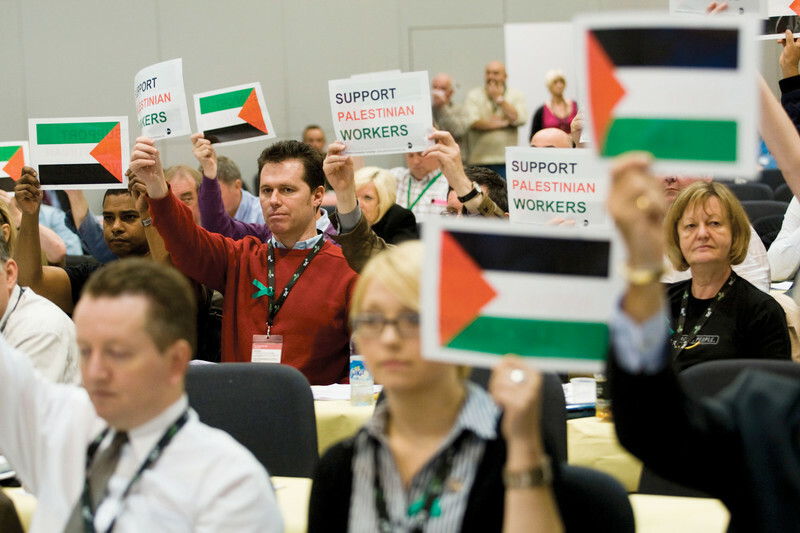 Trade unions are making a vital contribution to the BDS movement through campaigns. Dockworkers in the US, South Africa, Sweden and elsewhere have refused to unload Israeli ships and exports. In Gaza, Israel has imposed a siege that severely limits the entry of materials and inputs for manufacturing and the export of goods. In the West Bank, Israel has implemented restrictions on movement, land access, water access and a range of obstacles to ensure exports are kept to a minimum. 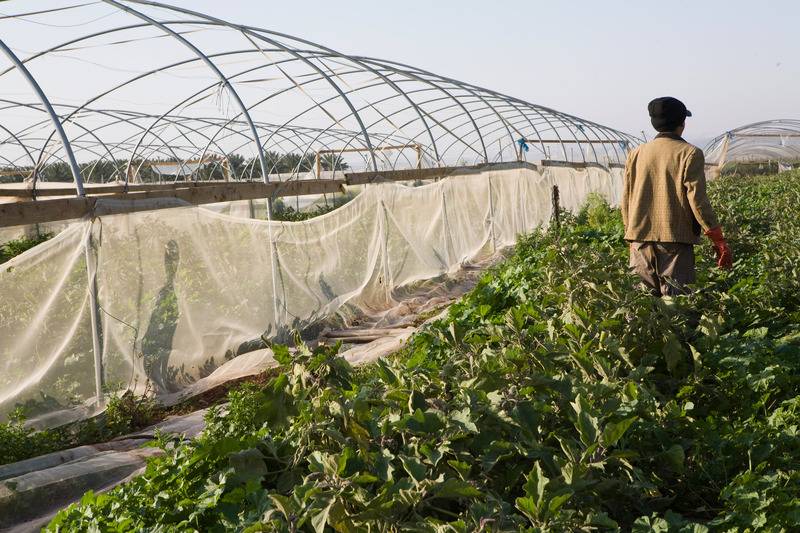 Across the occupied Palestinian territories, Israel deliberately undermines Palestinian agricultural production. Under the terms of the Paris Protocol, Israel has the final say on what Palestinians can import and export and control over many aspects of Palestinian economy activity. A farmer takes his herd across an opening in the Apartheid Wall, which separates his home from his pasture, near the occupied West Bank village of Jayyous. Israel’s economic siege of Gaza has led to unemployment reaching 60% - the highest rate in the world - low levels of pay and poor conditions. For example, construction workers say that on the rare occasion when they are able find work, they are paid as little as 30 shekels (just under $8) for a hard day of physical labour. Israel’s strategy for the West Bank is to create economic dependency and exploitation. Palestinians able to find work in the in the West Bank are being left stranded in a dependent economy and face long and humiliating waits at checkpoints and complete control of their life and work by the Israeli military. Loss of income sources and high unemployment leaves many Palestinians in the West Bank with no option but to work in illegal Israeli settlements where pay is below the minimum wage and conditions are exploitative and often dangerous. As many as 1,000 Palestinian children are employed in Israeli settlements at any one time, often paid as little as $18 per day to work in dangerous and exploitative conditions. Israel regularly withholds payments of tax it collects on behalf of the Palestinian Authority, meaning that public sector employees are often left without their salary being paid for months on end. Palestinian citizens of Israel face systematic discrimination in the labour market. Many jobs are only open to people who have served in the military, excluding Palestinians from many jobs. Only 6.6% of Israeli state employees are Palestinian. Communications giant Bezeq employs less than a dozen Palestinians out of a total workforce of 10,000. More than 30,000 Palestinians from the West Bank legally enter Israel each day to work while thousands more make the journey without official permission because as only a small percentage of permit requests are approved. 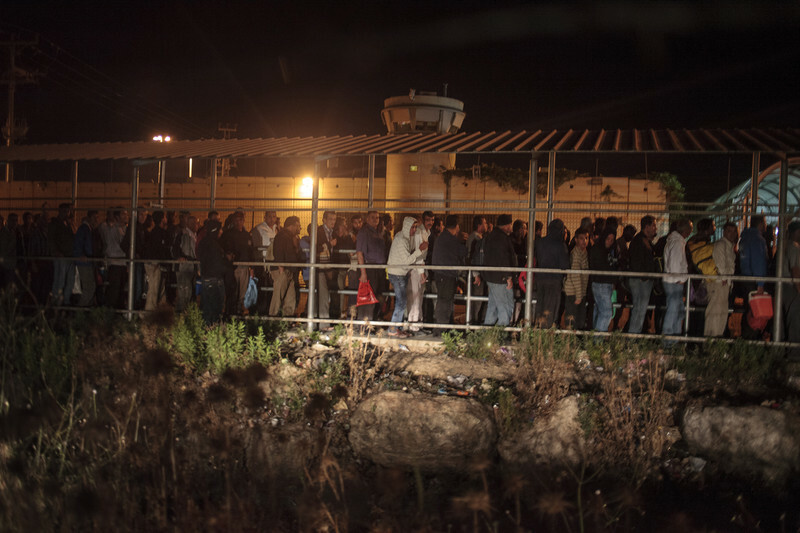 Those who do have permissions have a gruelling work life as they must start queuing to get through an intricate set of Israeli checkpoints at around 2am. Palestinian trade unions have long been at the heart of the Palestinian struggle for freedom, justice and equality. Palestinian labour unions played a vital role in the Great Revolt of 1936 against British rule and Zionist colonisation. Palestinian workers launched a general strike that lasted 6 months, one of the longest strikes anywhere in the world. Palestinian unions led strikes and boycotts of Israeli products throughout the first intifada. More recently, Palestinian unions have campaigned against falling pay levels and other attacks on conditions in the Palestinian public sector. All of the major Palestinian trade unions were signatories to the 2005 call for BDS and are members of the Palestinian BDS National Committee. Publicly supporting Israel’s attacks on Gaza and other war crimes. Maintaining active commercial interests in Israel’s illegal settlements. Allowing Jewish Israeli settlers in the occupied West Bank to join the organisation. Illegally withholding over NIS 8.3 billion (approximately $2bn) from wages earned by Palestinian workers from the Occupied Palestinian Territory. This money was deducted by the Israeli state and transferred to the Histadrut for ‘social and other trade union benefits’ that Palestinian workers have never received. In its founding statement, the Palestinian Trade Union Coalition for BDS (PTUC-BDS) called on international trade unions to sever all ties with the Histadrut. A large number of trade unions have done exactly that. All of the major Palestinian trade unions were signatories to the 2005 call for BDS and are members of the Palestinian BDS National Committee. 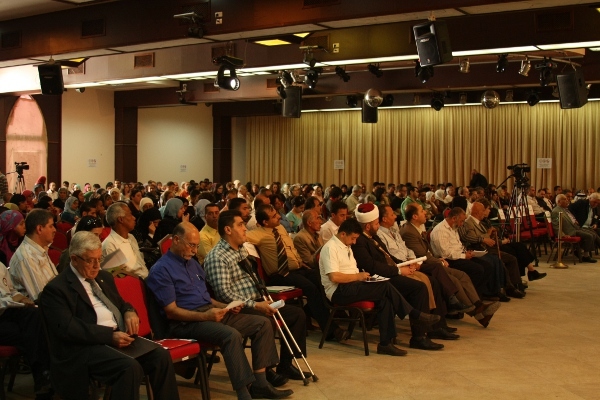 In 2011, Palestinian trade unions came together to form the Palestinian Trade Union Coalition for BDS (PTUC-BDS) and to issue an appeal for international trade unions to join the BDS movement. Trade unions and national trade union federations across the world have voted to endorse BDS or BDS initiatives. This includes: COSATU in South Africa, CUT in Brazil, the Irish Congress of Trade Unions, the UK Trade Union Congress, Belgian federation ABVV/FGTB, French unions CNT and CGT Educ'Action, the LO federation in Norway, the Canadian Postal Workers Union, among many others. 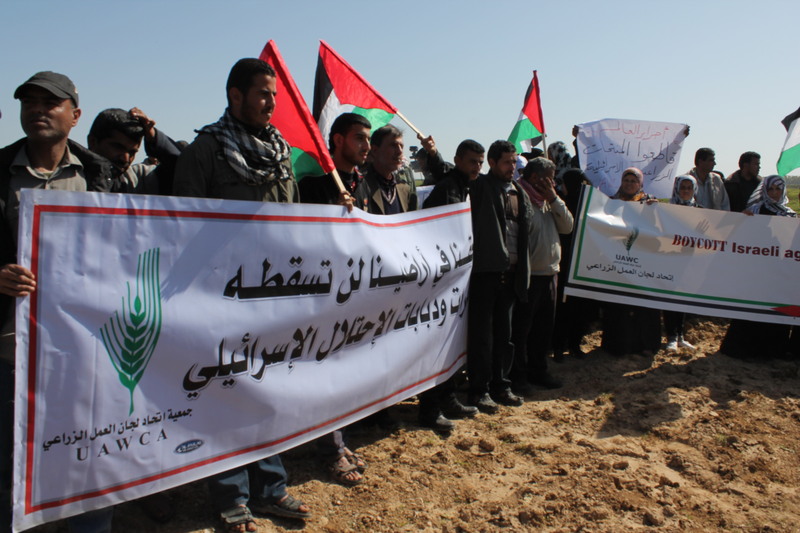 Dozens of unions and federations across the Arab World support the BDS movement including the Federation of Independent Trade Unions of Jordan (FITU-J), the Egyptian Medical Syndicate, Moroccan Workers Union (UMT), amongst others. The Public Services International and several other international federations have also adopted BDS. Trade unions across the world are leading effective BDS campaigns. For example, Norwegian union Fagforbundet is at the forefront of effective campaigns against G4S and SodaStream, major unions in the UK are pressuring G4S over its role in Israel’s prisons and the French farmers union mobilised thousands of people to support a successful campaign against the construction of a port in the south of France that would have been used to import Israeli fruit and vegetables. In Brazil, the trade union federations, such as CUT, CTB and CSP-Conlutas play a key role in the campaign for a military embargo and helped to lead the succesful campaign that led to the state of Rio Grande do Sul cancelling a major collaboration deal with Israeli military company Elbit Systems. Dockworkers in Durban responded to Israel’s 2008-09 attack on Gaza by refusing to unload Israeli products. In 2010, the the Swedish Dockworkers’ Union blockaded more than 500 tons of goods to and from Israel in protest at its attack on a humanitarian flotilla headed for Gaza and to call for an end to the blockade on Gaza. 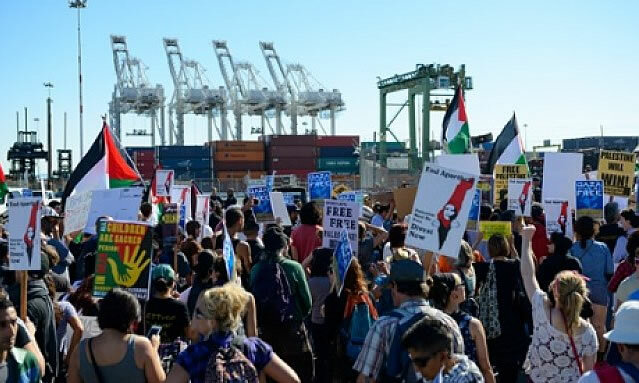 In the US, dockworkers have repeatedly respected community and labour picket lines and refused to unload Israeli ships. The BDS movement is the most effective way that trade unions and union members across the world can take action in solidarity with Palestinian workers and the Palestinian struggle for freedom, justice and equality. Here are some ideas about how to get involved with organising around BDS in your union today. Share this page with people at your workplace or who are in a trade union and help share information about how Israel’s oppression impacts Palestinian workers and how Palestinian unions and unions across the world are organising for freedom, justice and equality. Working towards passing a resolution in support of BDS through your local union branch is a great way to build awareness about the struggles of Palestinian workers and the BDS movement. Get in touch if you'd like any guidance, event or speaker ideas and so we can share our model resolution with you. Make sure to spread the word about any resolution that you pass! Building solidarity links and communication with Palestinian trade unions can make a real contribution to their struggle and help to build support for BDS. All of the major Palestinian trade unions are members of the BNC, so get in touch if you'd like advice and input on how to start building these links or be put in touch with trade union representatives. Trade unions can put pressure on companies and public bodies and to end their support for Israel's violations of international law and can play a key role in community BDS campaigning. Check out our Find a partner tool to get in touch with BDS campaigns in your area. National trade unions across the world have endorsed BDS, sending a powerful message of solidarity. Many unions have also joined national BDS or campaigns or started their own, putting their weight behind efforts to end international support for international crimes. Organising with others to get your national union to join and get active in the BDS movement can be a powerful and empowering effort. Many trade unions unwittingly source products and services from companies targeted by the BDS movement such as G4S and HP. Getting your union to publicly announce it won't deal with such companies can be a powerful way to end corporate complicity with Israeli apartheid. Trade unions that have their own investments or pension funds may be invested in companies targeted by the BDS movement.